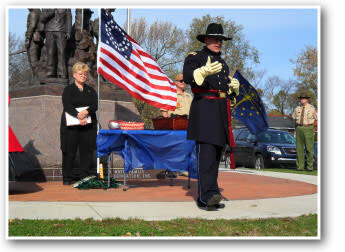 Located on 73rd Avenue just east of Broadway, Merrillville&apos;s historic cemetery is the final resting place of the town&apos;s founder and more than 30 region Civil War veterans. Beyond the stories in this collection, more can be learned about the Merrillville Cemetery Civil War veterans – and veterans of other wars buried there – in Alice Smedstad&apos;s book, "Soldiers & Veterans Memorialized at the Merrillville Cemetery." The book is available for $5 at the Merrillville Ross Township Historical Society Museum, located a short distance west of the cemetery on 73rd Avenue. All book proceeds benefit the Historical Society.